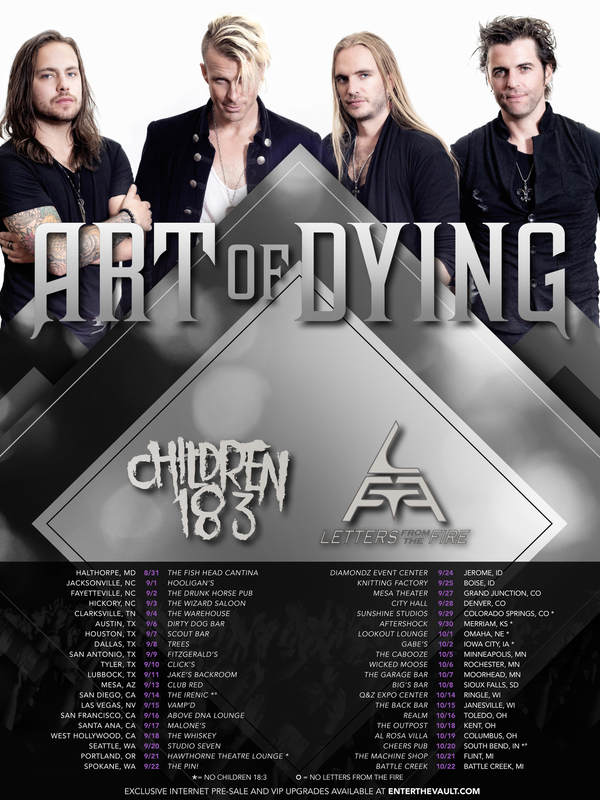 ART OF DYING will have brand new music in tow on their 40+ US headlining tour. The NEVERMORE CD will be available at their shows and at ArtOfDyingMusic.com and drops Sept 2 on itunes, Spotify, and digital/streaming outlets everywhere. Pre-order NEVERMORE on iTunes TODAY for 2.99 and instantly get the song “Cages”! Special price ends Sept 2. Click HERE for Tickets & Exclusive VIP Upgrades!